Thousands of retailers sell and distribute their products through Amazon’s platform, making it the biggest online retailer in the world. Among the big and small legitimate businesses selling on Amazon, however, there are scammers, too. Amazon brand gating and brand gating services offered by Palmetto Group and other companies are now a necessary part of the online retail world. What Is Amazon Brand Gating? Amazon brand gating is the method of protecting unauthorized brand activity on Amazon. Because third-party sellers and original brands alike use Amazon, there is a demand to prohibit and restrict the selling of branded products. By setting up a perimeter around the branded products and preventing third party sellers from getting to listings, brand gating protects retailers. A third-party seller may be a college student looking to sell their old university textbooks, in which case brand gating may seem like an issue. However, many third-party sellers are selling branded products without authorization, profiting or disrupting the hard work of small businesses. 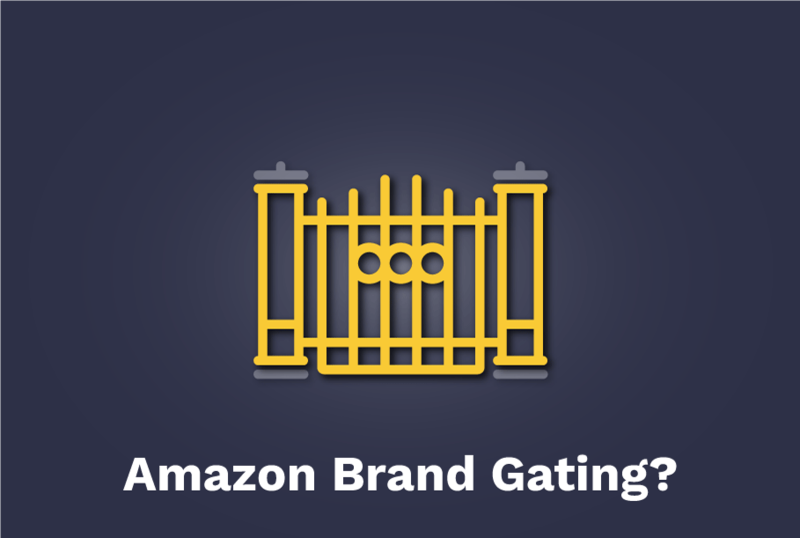 Why Should You Consider Amazon Brand Gating? Counterfeits. Counterfeit products are sold through a third-party retailer. Scammers use these items to profit from the brand name and sell consumers low quality, cheap substitutes for the same price. Consumers are at a loss of money for a product they did not want. Brands lose out on that sale and receive negative association (a review) with their product in the consumer’s mind. By using brand gating on Amazon, a brand can be sure third party retailers cannot sell fake products – only the real deal. It also prevents negative product reviews. Pricing Control. Counterfeit products and unauthorized sale of branded products destabilize the pricing of a product. Scammers sell counterfeits at a cheaper price than the genuine product, directly stealing business from a brand. This forces the brand to lower their prices to compete or miss out on a portion of the market. This also creates lower margins for each product sold. Amazon brand gating can help prevent this. It also prevents a flood of the market, causing prices to plummet with used or counterift versions of the product at a discounted price. Specify Who Can Sell. Brand gating allows a brand to pick and choose who they want to sell their product. By vetting and controlling third party retailers on Amazon, brands can guarantee that only other brands and retailers they want connected with them can sell their product. This strengthens brand image. Brand ratings stay high due to partnership control. Palmetto Digital Marketing Group are experts at negotiating the entire Amazon retail experience. Along with the many other services provided to brands, Palmetto Group also offers Amazon brand gating services. PDMG helps brands register with Amazon, submitting the brand’s trademarked information to Amazon to access the wide array of tools available to registered brands on the Amazon platform. PDMG will enforce trademark infringement and work to have counterfeit and unauthorized activity removed from Amazon, at the brand’s discretion. Palmetto Group can keep brands and their products safe by monitoring for counterfeit products and scammer retailers. Brands will have control over who sells their products on Amazon. They can take full advantage of the opportunities that Amazon offers, without worrying about unauthorized selling and advertising of their products. Brand gating on Amazon is about protecting retailers and consumers. Retailers don’t want their hard work and profit scammed by someone else. Consumers can buy with the reassurance that the product they are ordering is legitimate and high quality. Palmetto Digital Marketing Group is ready to help brands get the most out of selling on the Amazon marketplace.